The story of how Sourenee Tea Estate came into being, begins during the pre-independence era in the 1900s. To expand the new found trade potential of Darjeeling hills, the then Britisher in charge of developing the region seeked the help of the local Nepali resident to get labourers for clearing the forest area and setting up army base. In return for the favour, the local resident was given an area in Mirik which is now the Sourene Tea Estate. Over time, the son of the local resident, inherited the land who happened to frequent and buy provisions from a store in Kurseong named Jalooram and Company. The credits ballooned over the years which was beyond his capacity and to pay off the debts, he gave away, about 1100 acres of land to the brothers of Jalooram and Company. Ramlall Tiwari, the owner of the provisional store saw through the eyes of the British tea planter and he too planted tea bushes in the land, thus giving birth to another high elevation tea estate in Darjeeling. Thus was Sourenee Tea Estate was born in the year 1902. Location of Sourenee Tea Estate. Sourenee Tea Estate is located in the Mirik valley and is one of the best tea producing high elevation tea gardens of the Darjeeling hills. 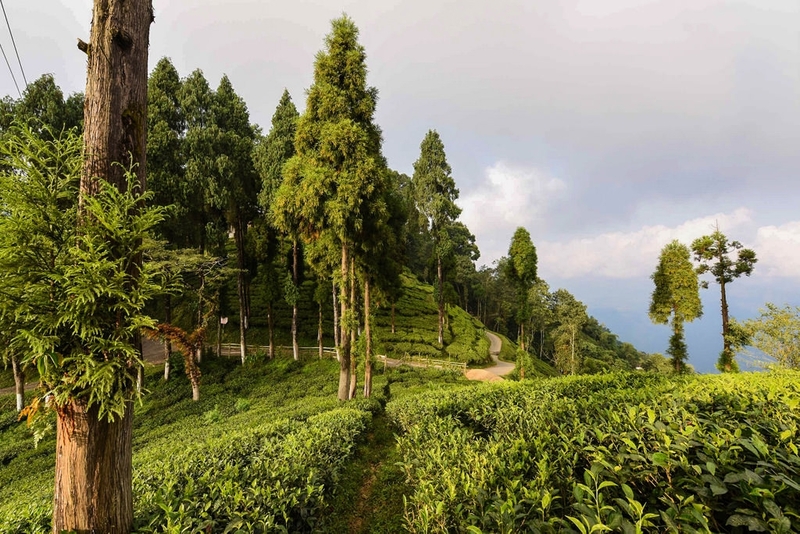 The elevation of this tea estate is between 2500ft to 5000ft covering an area of 99 hectares of tea plantation area out of the total 137 hectares under its management. The ownership of Sourenee Tea Estate changed hands after the founders, the Tiwari brothers, sold it off in the year 1990. The tea estate was taken over by Titagarh Wagons Ltd in 2007. Sourenee Leaves Pvt Ltd which was the result of such take over presently manages the tea garden. Sourenee Tea Estate has a number of industry standard certification. Sourenee Tea Estate is also known to hold the certification by HACCP (Hazard Analysis & Critical Control Point) which is certified by DNV, an International Body for Certification. Apart from that, Sourenee Tea Estate is also known to be certified by the following NOP, NPOP & JAS Certifications issued by the Control Union. High quality Darjeeling teas are produced from this organic Darjeeling tea estate. Being a high elevation tea garden, this tea estate is capable of teas which have a characteristic Darjeeling flavour. The most popular among its premium teas is the Black Blossom which is a second flush black tea and has good number of tea followers. Apart from premium Darjeeling teas, Sourenee Tea Estate is also known for its tourism with a blend of picturesque landscape and a majestic bungalow in the most beautiful virgin land of the hills. Ideally located to suit an eager traveler to the hills of Darjeeling.